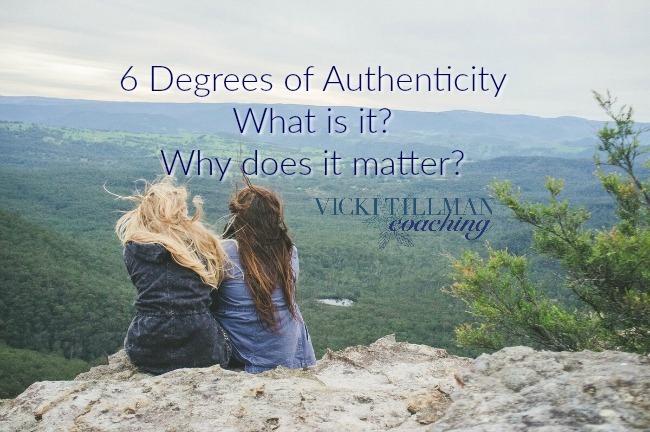 What are 12 facts about 6 Degrees of Authenticity? Authenticity is a cultural value. People like to feel like they are friends with authentic people, go to church with authentic Christians, do business with authentic entrepreneurs. But is it always good to be authentic? I have an acquaintance that is always the same in every circumstance. She acts and speaks with open, honest, unfiltered opinions. You can always trust her to tell the truth as she sees it. She also leaves a trail of hurt people by the unkind but *honest* things she says. Is that a good authenticity? I have another acquaintance who is always open and honest with her feelings and experiences. When you ask her, “How are you doing?” she thinks you mean it. So she tells you. The whole story. No detail left out. People who know her well have learned to never ask a question if it is a busy day. Is that good authenticity? 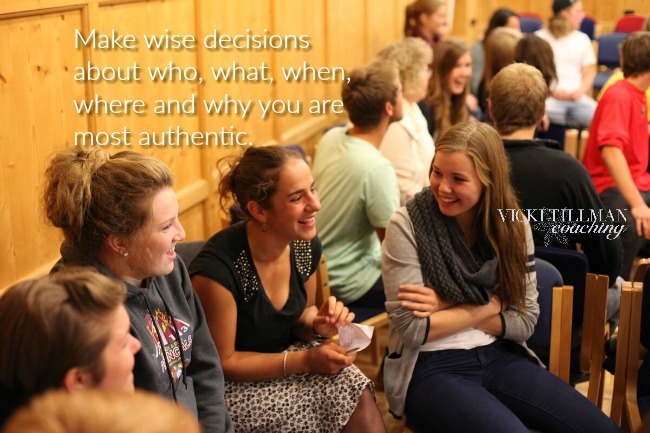 What if we looked at authenticity as a 6 degree decision-making process? *Being untempered is inauthentic, I believe. While people who say what they think, all the time, may be congruent and honest about what they are feeling, they are not necessarily kind. Scripture talks about speaking the truth in love (Ephesians 4:15). If what one is saying isn’t loving, the heart behind what is being said is inauthentic. *Untempered speaking is fine with very close friends and families who know and understand your heart. Everyone needs some place to dump their thoughts and feelings. *Being a fake (behaving in a manner that is not-at-all how you feel or believe) is inauthentic. Most people can spot a person being *fake*, unless they have the need to feel deluded. *However, there are times when behaving in a *fake* manner is the only polite thing to do. Take for instance: The ex-wife must go to the wedding of her daughter and behave well, despite the fact that her ex-husband is attending with his new, young bride. To behave in a manner congruent with her feelings would ruin the wedding for her daughter. This kind of inauthenticity is simply called *manners*. *Being completely shut down is not authentic. When a person feels shut down there is often depression, anxiety or hurt that needs healing. They have found detaching from emotional responses feels safer than being open with others. *There are times being shut down might be wise. If you are at a hostile board meeting and have nothing constructive to say, for the moment shutting down (or shutting up) might be the best choice. *Being overly cautious is not authentic when it is not called for. In a group of safe people, or with a safe person, it is inauthentic to not share opinions or feelings or needs. Being cautious when it is not needed leads to missing opportunities to connect. *Being cautious is called for in new situations, or changing situations. It may take a little time and some risk taking to decide how much caution is needed when expression oneself with new people or when a group has undergone a big change of some sort. Click here for some confidence-building skills. Freebie! *Being open may appear to be authentic, but if it is an unwise or unsafe situation being totally open and honest may expose a person to unkindness or worse. Openness is good when the situation warrants. Discernment is needed. *Being open is good with close and trusted friends and family members. Every human needs people like that in their lives. Some need lots of close and trusted friends and family, some just a few, but everybody needs somebody (sometime). *The fact about this is that it is never unwise to be wise. What should I be authentic about? When should I be authentic? Where should I be authentic? Why should I be authentic? Want help wrestling with your own authenticity? That’s what life coaching is about! Transition from inauthenticity to wise authenticity! Contact me to get started. We can have coaching sessions in person, by phone or by Skype.